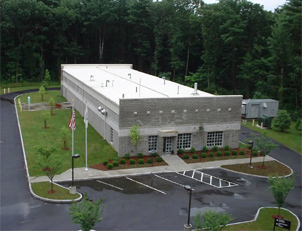 Treatment of Needham's groundwater supply is performed by the Charles River Water Treatment Facility. The facility replaced the inline treatment that was located at Well No. 1. Construction of the facility began in January of 1998 and was activated in the spring of 1999. The WTF was constructed to provide water system corrosion control to comply with the Safe Drinking Water Act and Federal Drinking Water Regulations and comply with the Department of Environmental Protection requirements for the reactivation of Well No. 3, which was discontinued, in part, because of relatively high manganese concentrations.